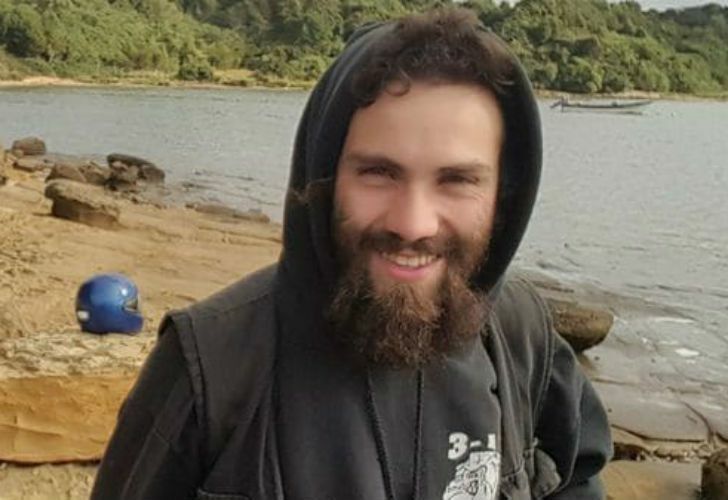 Family of the 28-year-old artisan confirm that they believe the body found in Chubut on Tuesday is their relative’s, bringing an 81-day mystery as to his whereabouts to a tragic end. The family of Santiago Maldonado, the 28-year-old who went missing on August 1, confirmed yesterday that they are sure the body found in the Chubut River this week is his, ending the 81-day mystery as to his whereabouts and closing a page on a case that has gripped Argentina and dominated the headlines for more than two months. Surrounded by members of the press outside a morgue in Buenos Aires, where an autopsy on the corpse found on Tuesday night had taken place, the missing artisan’s brother Sergio Maldonado said that the family was “convinced” it was their loved relative. The news brings the search for Santiago to a tragic end, more than two months after his disappearance. Ever since the week he went missing, the late 28-yearold’s disappearance has had a huge impact on Argentine life and the nation’s politics. On Tuesday, when divers found a body during a search of the Chubut River, close to the area where Santiago originally went missing, political parties decided to suspend campaigning ahead of tomorrow’s midterm elections as a mark of respect. Experts on the whole believe the case will not have an impact on voters’ decision inside the polling booths, but Maldonado’s disappearance has caused considerable problems for the government, which has been strongly criticised for its handling of the case. The 28-year-old’s disappearance quickly became a rallying call for human rights activists, who expressed disappointment over the government’s handling of the case and the search for the missing artisan. For many in Argentina, the case carries echoes of the dark days of the country’s military dictatorship, in which forced disappearances were tragically all too common. DISAPPEARANCE. Maldonado went missing after the Gendarmerie clashed with members of the Mapuche community in the region while evicting a protest, in which he took part. Members of Maldonado’s family and some witnesses have claimed since that the Gendarmerie (Border Guard) officers detained the 28-year-old before he went missing, implying they may have been involved in his disappearance. That accusation repeated by Sergio Maldonado on Friday as he spoke to the media and confirmed the body was that of his brother’s. The family also believes that the body was “planted” where it was discovered, pointing to inaccuracies in previous searches of the terrain. Government officials, including Security Minister Patricia Bullrich and Cabinet Chief Marcos Peña, have been strongly criticised over the past several weeks for publicly offering their backing to the Gendarmerie on numerous occasions, despite the lack of clarity surrounding the events leading up to his disappearance. Since then, local pressure from activists – which culminated in two mass rallies in the capital calling for his safe return and a series of satellite mobilisations across the country – and from international human rights organisations have piled pressure on the government. Just this month, the United Nations called on the Argentine state to investigate the Gendarmerie’s “responsibilities” in the case and the Inter- American Commission on Human Rights (IACHR) announced it had summoned representatives of the government and the family of the 28-yearold artisan to a hearing in Montevideo that will take place on October 26, four days after the midterm elections. Former president Cristina Fernández de Kirchner, campaigning as part of her run for a senatorial seat in Buenos Aires province, repeatedly criticised the government over the handling of the case during campaigning. She remained silent on the issue publicly, after the body was discovered. At press time, President Mauricio Macri still hadn’t spoken publicly on the matter either, although Justice Minister German Garavano confirmed the president had spoken with Maldonado’s mother in wake of the breaking news. Throughout the week, just days before crucial midterm elections, some political figures made public comment. Lilita Carrió, one of the heavy hitters of the Cambiemos governing coalition and a candidate in the City this weeked, wasn’t as diplomatic. In a live TV appearance as the body was being found, she drew a connection to the rumours that Walt Disney was cryogenically frozen after death and the cold waters of the Chubut River, generating outrage across the political spectrum. DISCOVERY. The lifeless body, dressed in dark clothes, was found by tactical divers from the Naval Prefecture at around midday Tuesday, with reports saying the corpse was “hooked to the branches of a willow tree” in the region close to where Maldonado was last seen alive on August 1, just 300 metres upriver. 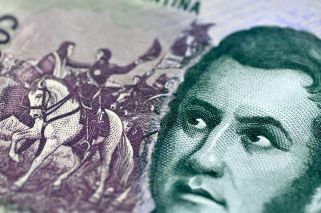 His DNI (national identity card) was found on the body, Sergio Maldonado said at a press conference on Wednesday night. He added he would not confirm if the body was his brother’s until he was “100 percent certain.” By Friday, after the family left the morgue, the Maldonados were sure they had been looking at Santiago’s body. Tuesday’s search was ordered by Judge Gustavo Lleral. The body was flown to Buenos Aires, where a forensic unit showed it to the family. Then investigators began an autopsy to determine the cause of death. The 28-year-old’s disappearance was currently being probed via two separate judicial lines. Judge Lleral, who was recently appointed to the case after the departure of his colleague Guido Otranto for misconduct, is in charge of determining the whereabouts of Maldonado, while Prosecutor Silvina Ávila has been delegated the investigation into the alleged forced disappearance of the young man. Now, that famous question that gripped this country – ‘Where is Santiago Maldonado?’ – has been given an all-too tragic answer. But another question, needing an urgent answer, will now arise in its place: ‘What happened to Santiago Maldonado? At the Plaza de Mayo last night, as an impromptu gathering quickly formed, the question was already being asked.